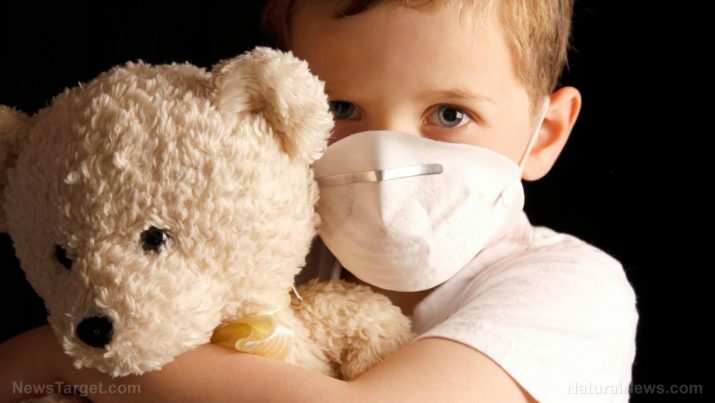 The flu, or influenza, is a contagious respiratory disease caused by any of the flu viruses. These viruses travel through the air and enter a person’s body through their mouth or nose. Type A flu virus: These viruses affect humans and animals, with wild birds being the most common hosts. Type A flu viruses can be further divided into sub-types, according to the differences in their surface proteins. Of the flu viruses, these are most dangerous and the ones frequently responsible for large flu outbreaks. Type B flu virus: Less common than type A flu viruses, type B flu viruses are found almost exclusively in humans. These viruses typically don’t cause epidemics nor are their symptoms as severe as type A flu viruses. However, they can still cause a great deal of harm. Type C flu virus: Compared to type A and B flu viruses, type C flu viruses are much milder. People generally don’t become sick when infected with a type C flu virus. Additionally, living or working in a congested area with close contact can place one at high risk of the flu. Hospitals, schools, college dormitories, and office buildings are examples of such areas. Echinacea: An herb most associated with cold symptoms, echinacea is ideal for the flu too. It can strengthen the immune system to make fighting off infection much easier. Garlic: The robust antimicrobial properties of garlic are all thanks to a compound known as allicin. Because of allicin, garlic can both prevent the flu and reduce the severity of its symptoms. Ginger: Not only can ginger stimulate the immune system, it’s also a muscle relaxant, making it powerful enough to lessen coughing spasms. Moreover, ginger contains chemicals that target flu- and cold-inducing viruses. Selenium: This mineral, commonly found in Brazil nuts, plays an important role in immune system. Honey: In general, honey is great for people with the flu because it soothes the throat and helps fight infection. Depending on the flowers used, honey can have incredibly high antioxidant levels as well. Vitamin C: This potent antioxidant enhances the defenses of the immune system. Vitamin C is abundant in citrus fruits, but vegetables such as red bell peppers, broccoli, and sweet potatoes have high amounts of this vitamin as well. Vitamin D: Just like vitamin C, vitamin D is good for the immune system. A few minutes under direct sunlight is the best way to obtain vitamin D. People who live in cooler climates are encouraged to turn to fatty fish or mushrooms for their vitamin D doses. Yogurt: The probiotics found in yogurt can help strengthen the gut and the immune system. Majority of people can recover from the flu without having to resort to medical care or drugs; the most they’ve done is to rest at home and avoid coming into contact with other people. Antiviral medication may be prescribed in some cases. However, people who are in the high-risk group (which consists of children, senior citizens, pregnant women, and people with compromised immune systems) should be monitored closely for any signs of the flu. Luckily, the flu is a preventable condition. Practicing good hygiene (e.g., washing hands with soap and water, avoiding touching the eyes, nose and mouth) and cleanliness (e.g., wiping down surfaces with disinfectant and covering sneezes and coughs) are effective ways of avoiding the flu. Taking extra steps to improve the immune system, such as through daily exercise and getting adequate amounts of sleep every night, is recommended as well. The flu is a respiratory illness that’s often confused with the cold. A person who has come down with the flu will exhibit symptoms like chills, high-grade fever, and breathing difficulty. These symptoms can worsen in vulnerable people, and may even lead to more serious complications. The flu is a preventable disease that usually goes away on its own after rest. To avoid the flu, one should adhere to good hygiene and cleanliness habits, and try to stay in the best possible shape through diet, exercise, and sleep.